Wouldn’t you say that this year has been filled with a lot of challenges? And, I am not just talking about regular everyday challenges, I am talking about those big challenges that can be really, really hard to work through. It seems like every time I work through one thing, something else comes up and then something else. Has it been the same for you? (1) There is relief in sight…thank goodness. And, there are so many more good things waiting for you on the other side of whatever it is you’re working through. Although it may get challenging at times, you’re learning even more about who you really are and what you’re truly capable of. Things don’t just happen to us. They also happen for us so that we can learn, grow, and be strengthened while life rearranges perfectly to give us everything we truly need. It took me years of working through times like these the hard way to realize that how you view your situation is extremely important. It influences what you think, how you feel every day, and also how well you will move through these times. 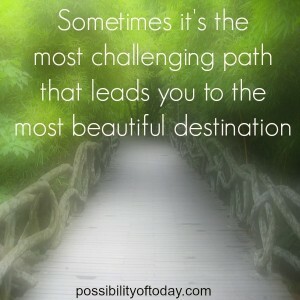 In the past, when things got tough, I chose to look at my situation as if I was running an uphill battle. Day after day, I allowed myself to repeat the pattern of pushing too hard, feeling overwhelmed during the day and then totally exhausted at the end of it. I would do my best to handle everything I could, but then I would think about how much more there was still to do. I would continually remind myself of all the things that I didn’t have time to do that were falling through the cracks. Of course that would make me feel guilty and then I would worry about what I wasn’t doing. And, you want to hear something crazy? I knew there had to be a better way, but I felt like I didn’t really have a choice. 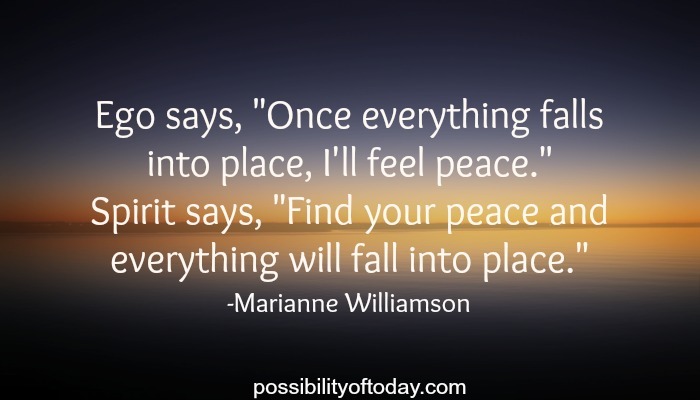 I would often tell myself … “It is what it is”. But, thinking “It is what it is” was my way of rationalizing and repeating a pattern that wasn’t working because the truth is that “It is what you make it”. It’s not about things getting easier or even having less to do. The reality is that sometimes we are going to have a lot to work through. But, what we can always choose to control are two essential things. We have to be committed to looking at everything we are working through from the best perspective AND then choose to move through the day in a thoughtful way with the right mindset. “I can’t take it anymore”. You remind yourself to choose a better thought that is more aligned with the truth and your faith than it is your worries or doubts. Just because there is a lot to work through and your mind may be trying to convince you things are so hard or are going to take a long time to work out, you’re not meant to buy into that line of thinking. You’re meant to take notice of what your limiting beliefs are and then do the work to correct them. 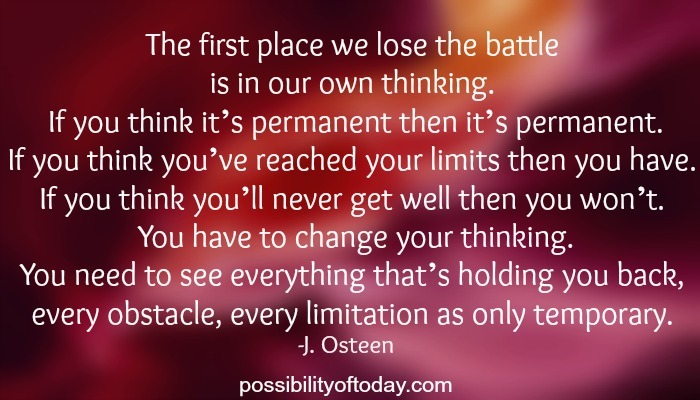 Your limiting beliefs are surfacing so that you will change them, not believe them. They are showing you exactly how you are getting in your own way. As we move through the rest of these challenges, it’s important to do those things that allow us to settle even more into our Extraordinary Side so that we feel as good as possible and are also in the best position to outshine the thoughts that work against us. There are mindset muscles we need to continually strengthen and we have to make the choice everyday to do our inner work because it’s not going to just automatically happen. That’s why I want you to consider joining me for the next 30 days and commit to doing the inner work that allows you to maintain a great peace of mind, stay centered, and live from your Extraordinary Side while you take your best next steps forward. We will work through these times together. During these next 30 days, I will send you little inspirational notes, quotes that help remind you of the truth, reminders to slow down and take a Time In, and pointers for how you can keep your Extraordinary Side flowing into your Power Circle (which is essential and makes it easier to get through these times). We will maintain a great peace of mind together and be so much better for it at the end of the 30 days. So, join me? Sign up for the free 30 day program by entering your e-mail below. Also, if you know anyone else who might want to join us, please pass this message along to them. We are all in this together so the more, the merrier. Everything we need is within us. We’ve just got to make certain we are intentionally settling into our Extraordinary Side every morning and moving through the day the right way so we can stay centered, feel good, overcome any challenges and get exactly where we are meant to be. Let’s do it together.